Links are the lifeblood of the Internet. Search engines act like moderator for the Internet & it's there job to scrutinize through trillions of pages & order them in terms of relevance. To accomplish this they first need to be able to judge a site’s authority & one of the key factors used to determine authority is by reviewing the backlink structure. 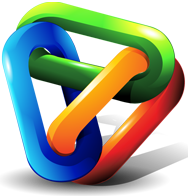 Link building is the most important & challenging SEO skill. We’re all trying to make our websites search engine friendly to rank higher. To rank higher, we have to play by the search engine’s rules i.e. get more quality backlinks & rank higher simple! How Linkauthority.com Comes Into The Play? The most sensitive part of any SEO campaign is getting high quality & unique contextual links from relevant, high authority sites & pages. Linkauthority.com is a one of a kind service giving your website the trust & value it needs with high quality one way links to help your site gain the exposure it needs in the search engine rankings. It is the only guaranteed SEO method. Use it to rank your sites & generate ton of free search engine traffic. We enable writers to post their high quality, niche-relevant & unique content throughout our network of Top tier high PR websites. You get benefit as a writer by making the world know about who you are and what you have to offer. Since the information we are providing can be broad based, we allow our clients to embed a link that would let the reader go back to their website to get more information. This is for your benefit, since our websites are targeted for the particular niche you are writing about and has a high PR & authority and readers will find it easily. The more people that can find your website the more opportunities you have to grow your online presence. What's In Our Public Blog Network? Our Public Blog Network (PBN) contains thousands of high PR aged domains submitted by us & our members. Which means RANKINGS, SALES & HUGE BUCKS! The main advantage of our Public blog network is that you gain CONTROL on everything from quality content to anchor-texts & backlinks. The Best Thing About This Network Is Its FREE! Yes it's true! Our PBN is FREE of COST. The only thing you need to do is contribute sites with high PR into the network. Note: Make sure you do not submit your money site, you should only submit a site where the network can post content to drive backlinks to other user's money sites. By contributing great quality sites you are not only getting to use the network for free, but you are also getting free moderated high quality content on your site. Alternatively you can purchase additional daily quota. We would however prefer if you earned your submission limits by contributing sites into the network. Remember we only put unique content on your site & we also promote your sites on bookmarking sites, micro sites, web 2.0 sites and RSS feeds! What Is Daily Submission Quota & How To Earn It? 1) Adding more sites to link authority network: Adding sites to Link Authority System is the first basic step to acquire quota. Higher the PR of a site submitted by you, more the daily submission quota you will earn from it. To add new sites to Link Authority Network you have to go the My Sites section, here you will get complete detail of sites that you have submitted in Link Authority network. You'll receive unique content on them. Your daily submission quota will increase. 2) Purchasing Quota: You can also purchase more quota for daily submissions by going to the Purchase Quota section. Why Do You Need Links From LinkAuthortiy Network? Unique & niche-relevant contextual backlinks are great for SEO purpose. Because, these sort of links appear organic to Google. Search engines now prefer quality over quantity & getting quality links from relevant, authority sites isn’t easy. But, in Link Authority Network you are allowed to submit unique, high quality & niche-relevant content only which is manually moderated by our moderator team. If your article post is approved by manual moderation then it will be published on high PR site within our PBN. Sites in the network get HUGE respect by the search engines for having unique content. Using Link Authority Network is very easy. Just go through our step-by-step tutorial series & you will learn about using Link Authority Network in a couple of moments. 1. Understanding The Dashboard Screen: In this tutorial you will learn about the Link Authority Dashboard Area. Just after signing up & activating your link authority account you will see a dashboard screen & every time you log into LinkAuthority.com you will see this area. 2. How To Check Your Daily Quota & Project Status: In this tutorial you will learn about “My Projects” section. In this section you will actually get the main access to your daily quota & project status. 3. How To Add New Projects In Link Authority: Link Authority allows project creation for super easy management of the sites you are promoting. 4. How To Pause, Archive & Delete A Project: Learn to pause, archive & deleting a project with this helpful tutorial. 5. How To Create & Submit Posts In Link Authority System: Get started by learning how to create posts in link authority network with this tutorial. 6. How To Check Your Post Publishing Status & PR Allocation: In this tutorial you will learn about checking publishing status of your article, i.e. whether it is published or rejected by the system. And if it is published then on which PR site it is published. 7. Find Out The Website On Which Your Posts Are Published: When your post is approved & published in Link Authority System, it is important for you to find out the website on which your post is published. 8. How To Add Sites To Link Authority System: Learn how to add sites in Linkauthority.com with this tutorial. Adding sites to Link Authority System is the first basic step to acquire quota. 9. How To Find The Best Aged Domains: Learn how to find authority & aged domains to add in link authority network with this ultimate guide. 10. How To Submit Support Tickets In Link Authority: By submitting support ticket you can easily ask or inquire about anything related to your account, posts, daily quota and much more. Rank tracking & checking is vital for every SEO campaign & for this purpose you need a trustworthy, flexible & easy to use rank tracker. We personally use Serpbook.com for checking & analyzing rankings of our sites & projects on daily basis and we recommend the same for you. There are many reasons for which we are using this rank tracker. Organize your clients or keywords into neat and efficient categories. Customize your PDF and Excel reports to fit your needs with your own logo, description, and URL. Schedule PDF & Excel email reports to be directly sent out to you or your clients. To understand true potential of Link Authority Network you can also check out our CASE STUDY 1 and CASE STUDY2 on how we used Link Authority Network to rank a ClickBank niche within 7 WEEKS!